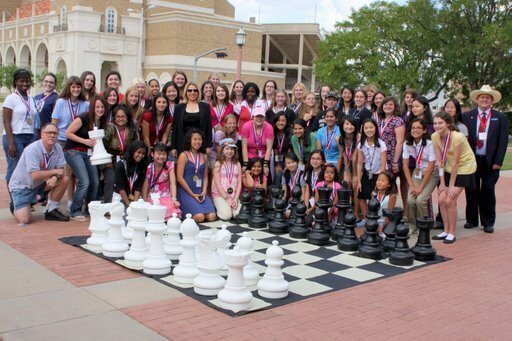 07.28.08 The first round of the Susan Polgar National Invitational for Girls is complete. Here are round 1 results, round 2 pairings, the schedule of events and images from the tournament courtesy of polgargirls.blogspot.com. Champions all! 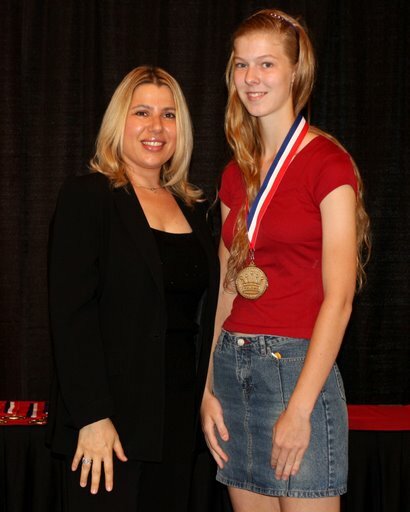 Sorel is standing in the back row to the right of GM Polgar. Round 1 underway in the Frazier Alumni Pavilion.